Unlock the Mediterranean treasure-trove that is Crete, with its stunning natural beauty, ancient Minoan ruins and sun-drenched beaches. This indispensable guide is your key to exploring this fascinating island. - 30 detailed maps and floor plans of ruins. 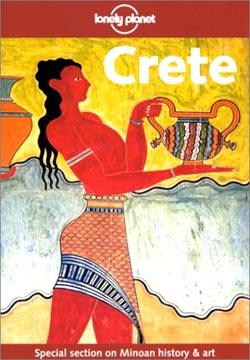 - Special section on the life and times of the Minoans, with a detailed guide to Knossos. - "Head to the Hills" - our special activity guide to Crete's rugged interior. - Local knowledge on finding that deserted beach of your dreams. - Accommodation to suit all budgets including domatias, mountain hide-aways and five-star beach resorts.